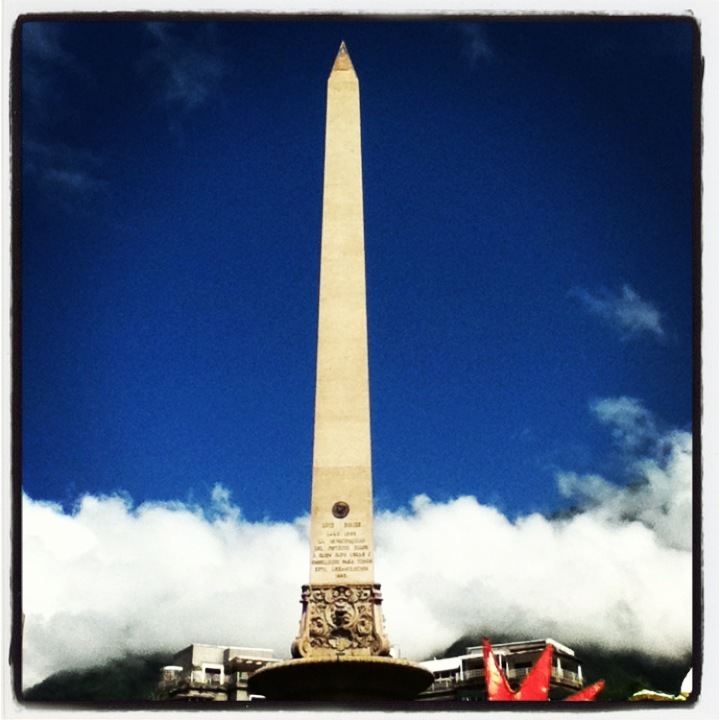 The obelisk in Altamira completed on August 11, 1945. This is at the Plaza Francia, so named in cooperation with France, in 1967. Then, in 1975, France built a Plaza Venezuela in return.